Isn’t your health worth all your care? Therefore, best look after it! By grilling horizontally, traditional barbecues, although popular, have a tendency to overlook the health aspects. Their heat source is located directly under the food. As a result, when the temperature rises during cooking, the fats contained in the food liquefy and drip onto the heat source. It is difficult to keep this fat from burning spontaneously, especially when the heat source is glowing embers. The result is often the appearance of unwelcome flames and/or fumes! Does this remind you of something? Never happened to you? It is a well known fact that the burning of fats generates carcinogen substances called PAH (1). They end up in your barbecued food! The actual amount of PAH can be measured (2, 3). Thus traditional horizontal barbecue cooking is not the best for your health. On the other hand, vertical cooking is much safer. The fats never drop onto the glowing embers, with no risk of generating carcinogenic substances. 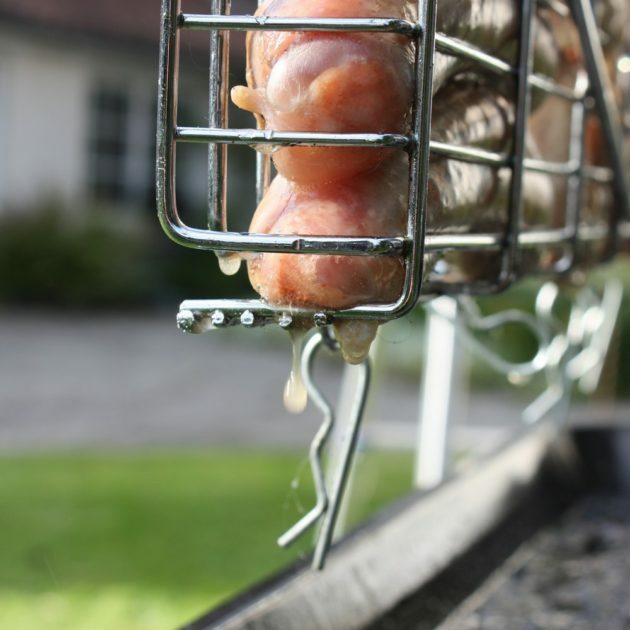 It is evident from scientific studies (2, 3) that the amount of PAH (1) measured in food cooked with a vertical barbecue is 10 to 30 times lower than with a horizontal one. This is all described in Henri Joyeux’ paper entitled « Barbecue : Pourquoi il va falloir changer vos habitudes !». It is very instructive. Other references are mentioned below (4 – 6). PAH means: polycyclic aromatic hydrocarbons, as for example benzopyrene. 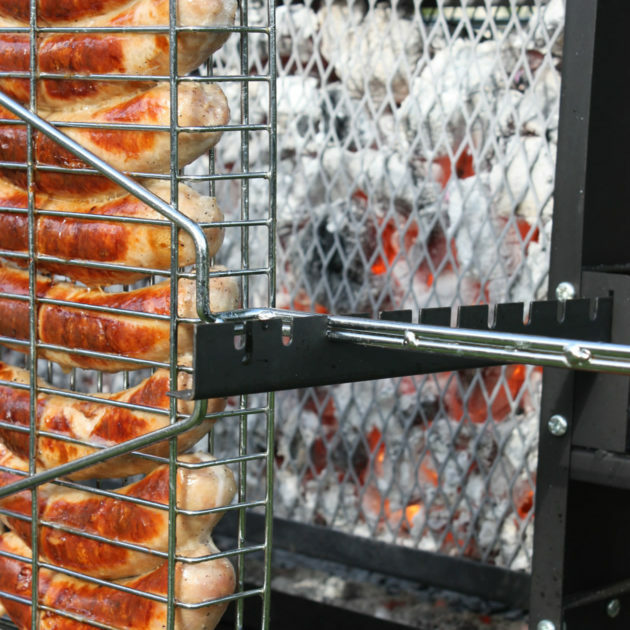 Study carried out by a Swedish institute (Institutet för Livsmedel och Bioteknik AB) and published by Testfakta which compares the PAH content in foodstuff grilled with horizontal and vertical barbecues. Click here for a summary.